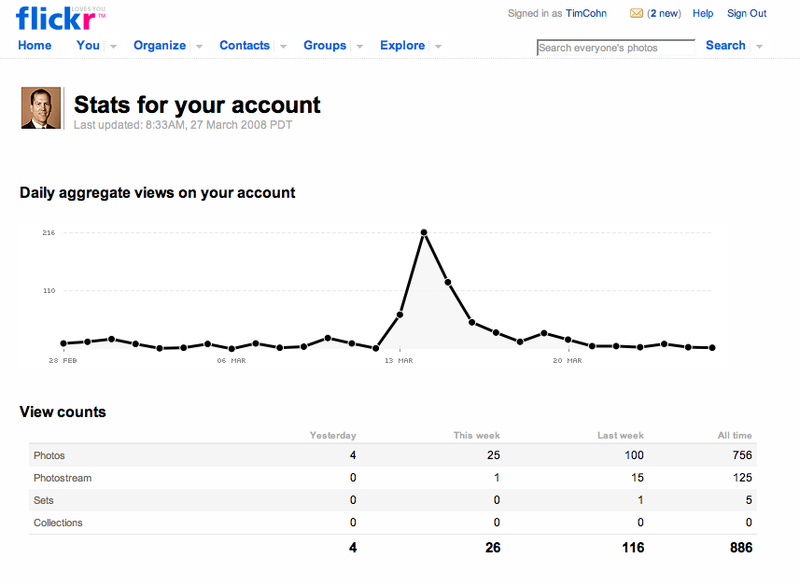 Flickr provides an additional level of stats on your photos when you upgrade to Flickr Pro. After you have upgraded your Flickr account to Flickr Pro, you can get a more detailed breakdown of your photos by using Flickr Stats. To get access to your Flickr Pro stats, go to the standard Flickr account’s most popular photos, ordered by interestingness feature page under Flickr’s “Your Photos” tab. 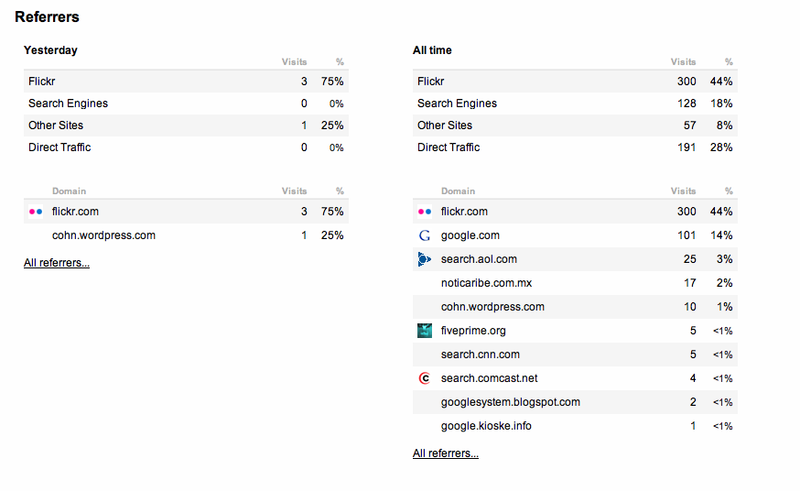 Click on Flickr stats to get the following four additional levels of stats. 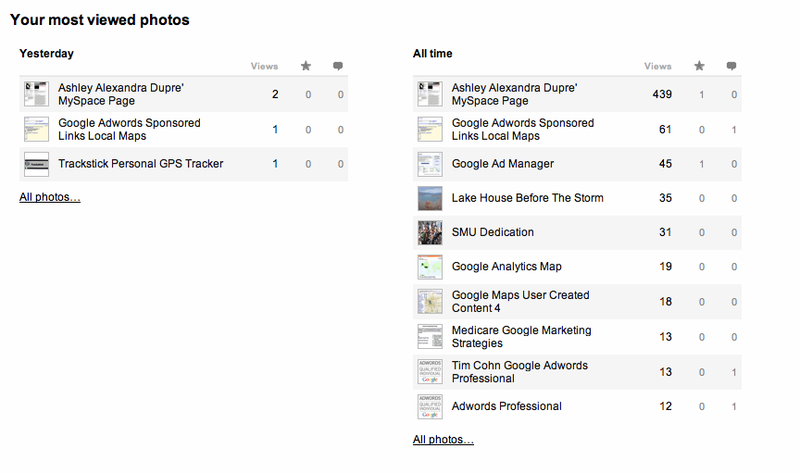 With enough photos in an account, Flickr Pro stats data can be instructive to both photographers and marketers alike. This entry was posted on March 27, 2008 at 12:38 pm and is filed under Flicker, Flickr, Flickr Pro, Flickr Stats. You can follow any responses to this entry through the RSS 2.0 feed. You can leave a response, or trackback from your own site.